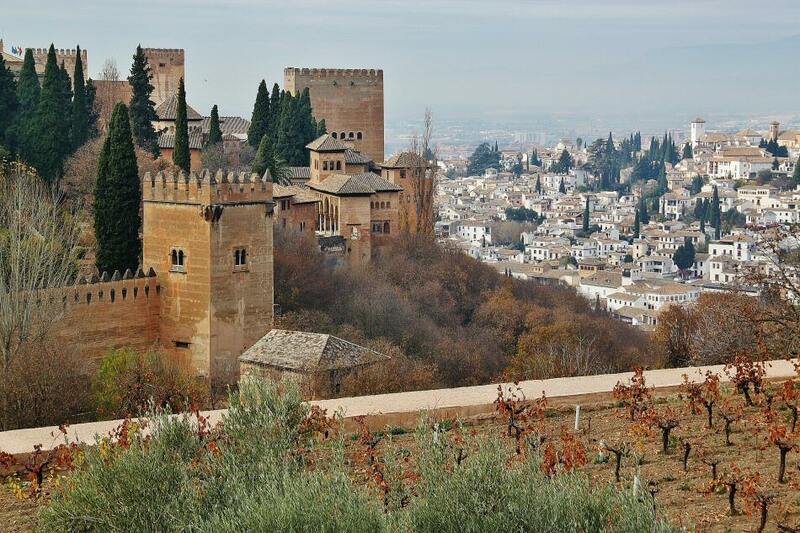 Granada is a beautiful city with a rich and ancient history, as we would see for ourselves on our only full day there. 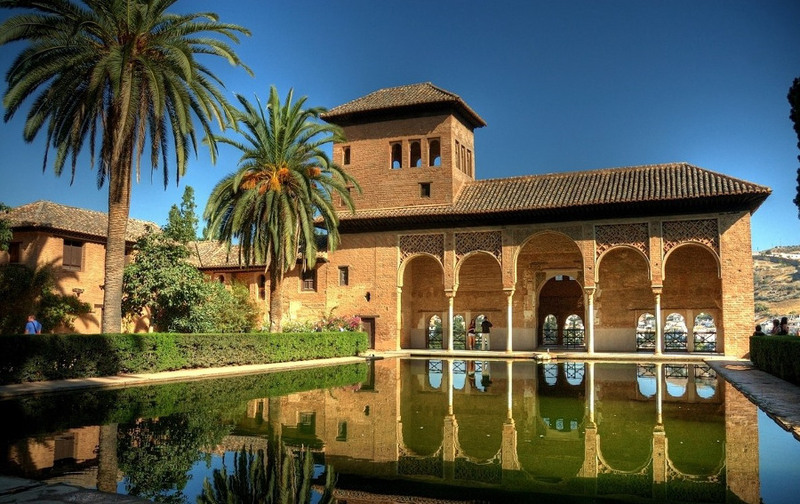 The present-day city was founded in the 11th century , during a civil war that marked the end of the unified Moorish caliphate but resulted in independent Moorish kingdoms sprouting up. 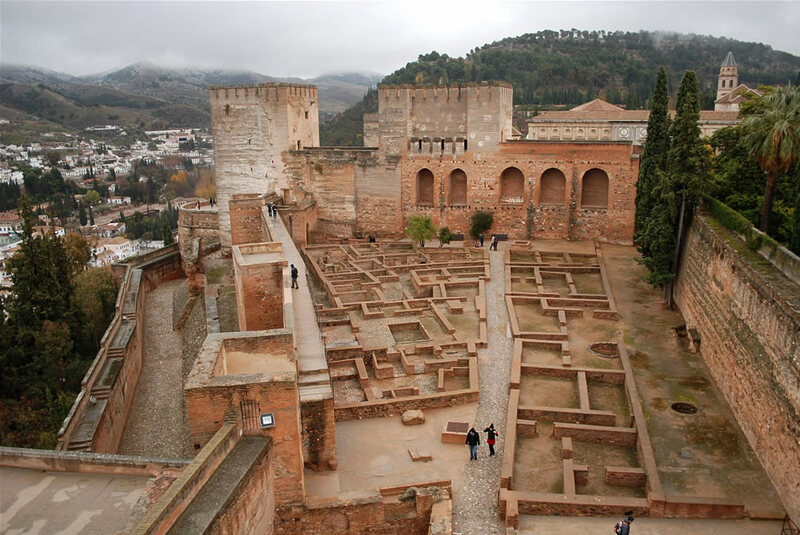 The ruler of one of these kingdoms opted to move his residence to the high ground of present-day Granada, where it would be easier to defend from attacks. 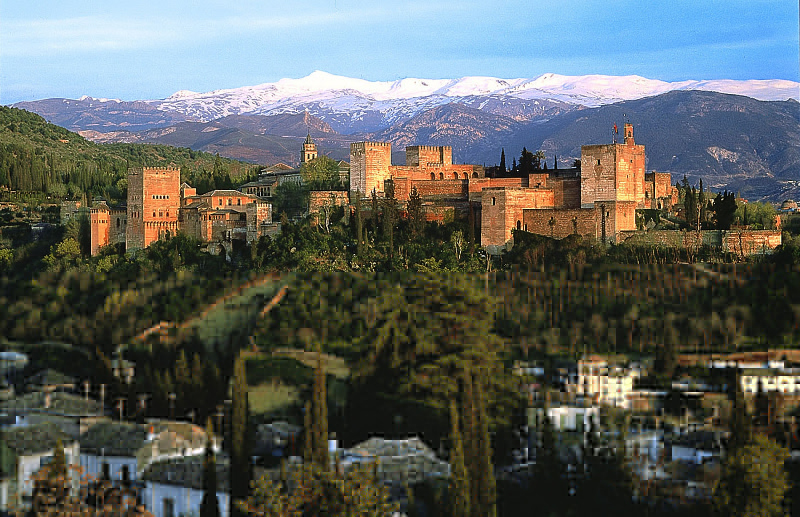 He moved into a Jewish hamlet already present there, and the city grew rapidly in size. 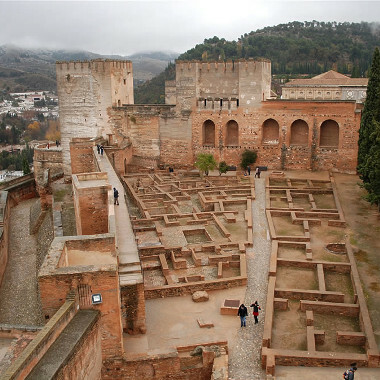 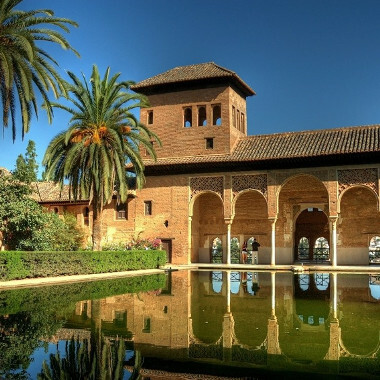 The city remained Muslim until 1492, when it became the last city to fall in the 800 year Christian Reconquista of Andalusia. 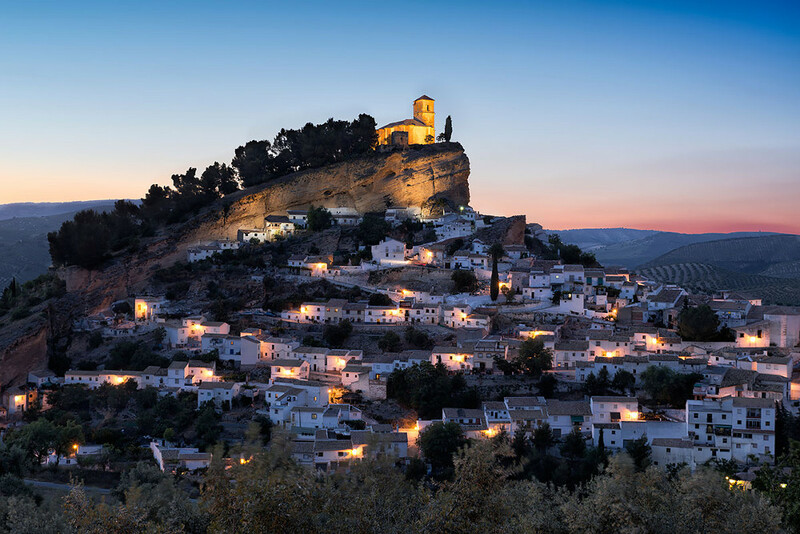 Walk through beautiful gardens, charming narrow streets filled with flowers, sit down in one of those typical taverns to have some of that famous "Trevélez" ham and local wine, and breath the centuries of history around you anywhere. 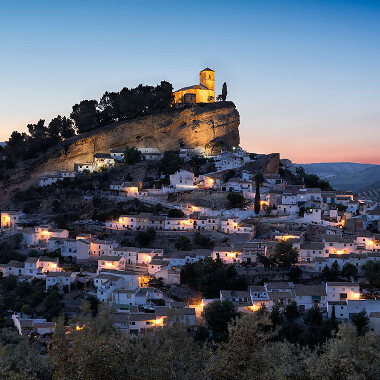 There are gypsies singing "Flamenco", and don't miss to visit their famous "Cuevas" - caves - in the mountain of the monastery of Sacromonte where some of them really live still nowadays making magnificent artisany. 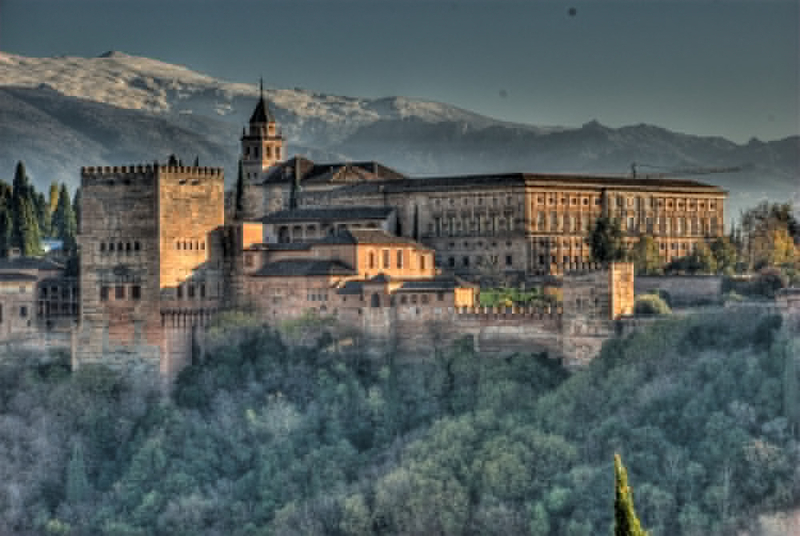 Granada's popular festivals, based as well on Moorish as Christian tradition, are most attractive. 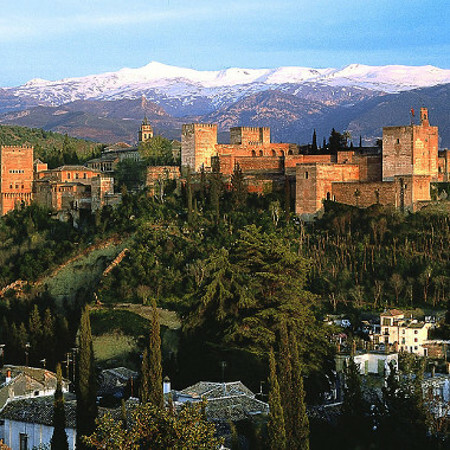 The city is located at the foot of the "Sierra Nevada", the Iberian Peninsula's highest mountain-massif with great posssibilities for winter-sports. 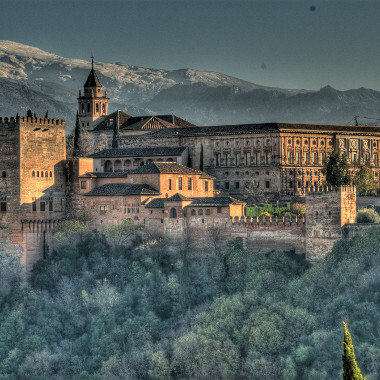 The highest peak is the "Mulhacén" at 3478 meters. 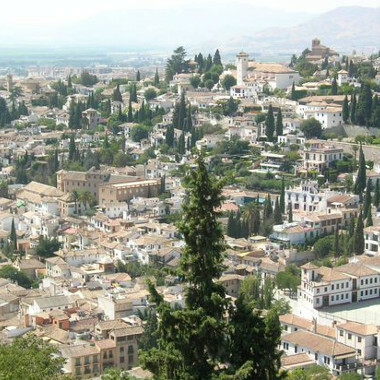 On the other hand it is not far from the Mediterranean sea, so Granada is a great place to visit in any season. 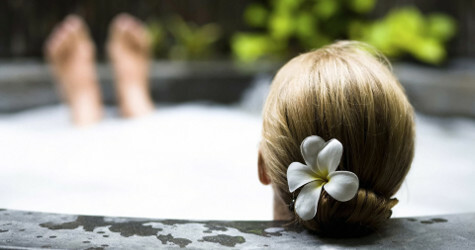 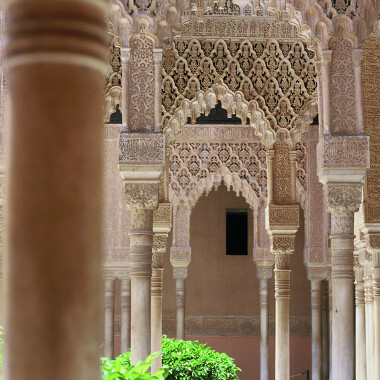 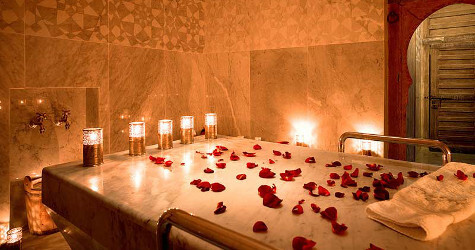 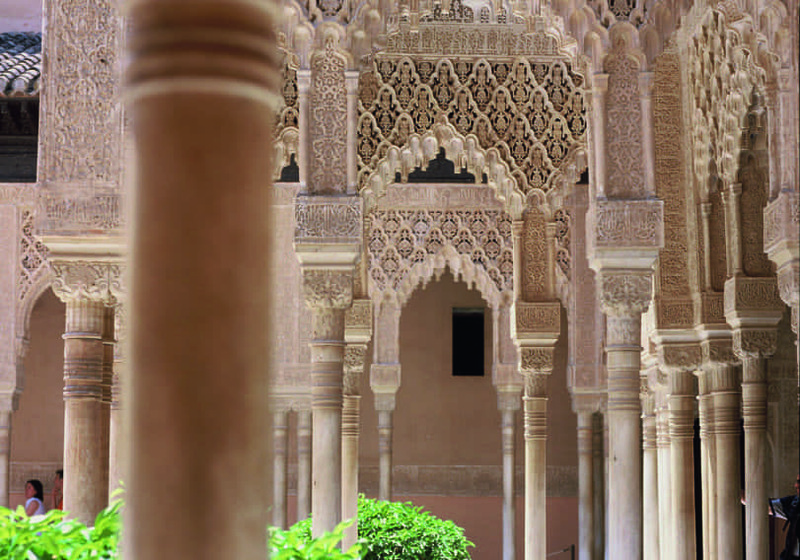 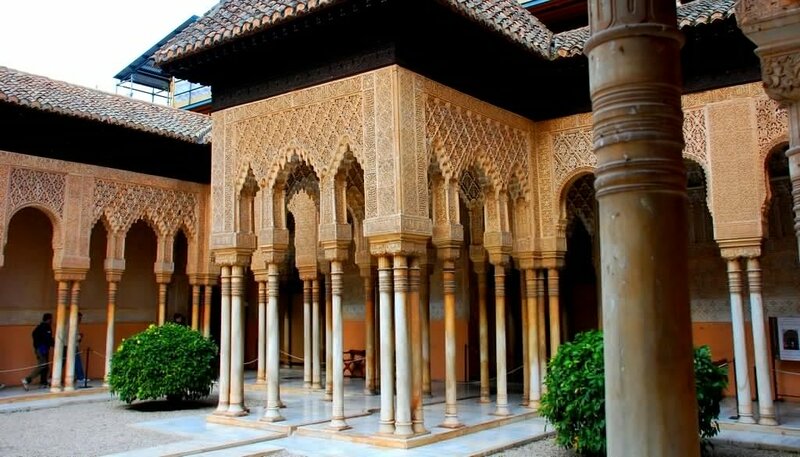 Hammam Al Andalus Granada:the perfect relaxation! 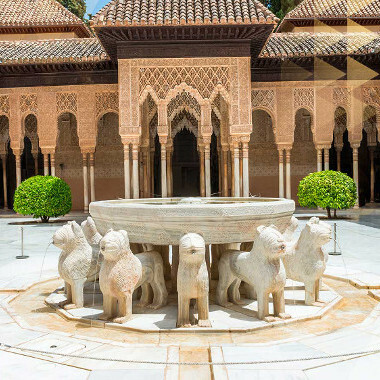 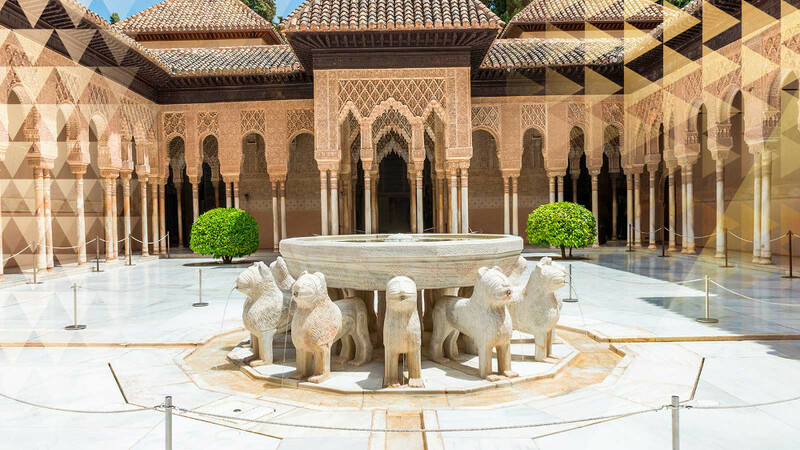 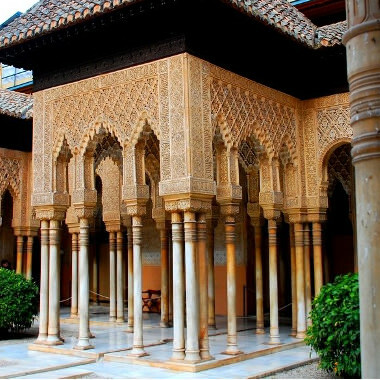 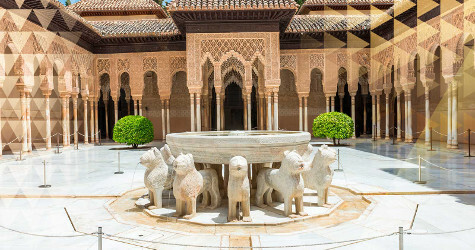 One of Spain's most frequently visited tourist centres, Granada contains many notable architectural and artistic monuments. 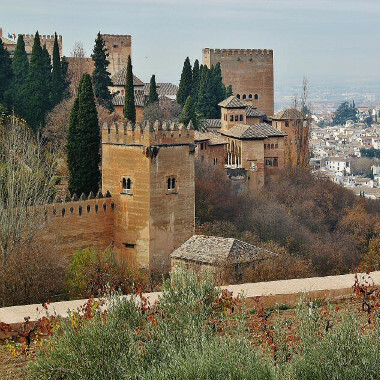 The city is the seat of an archbishop, and it is dotted with fine Renaissance, Baroque, and Neoclassical churches, convents, monasteries, hospitals, palaces, and mansions. 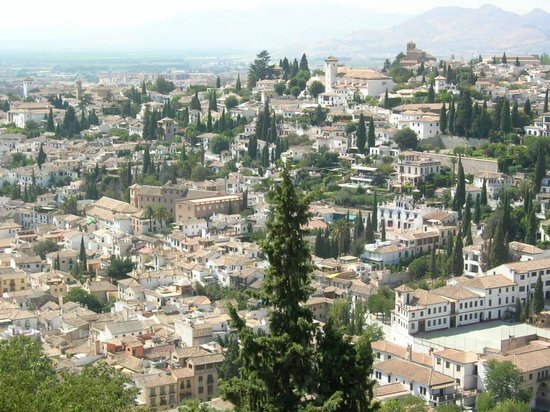 Granada is a small paradise hidden in the mountains.